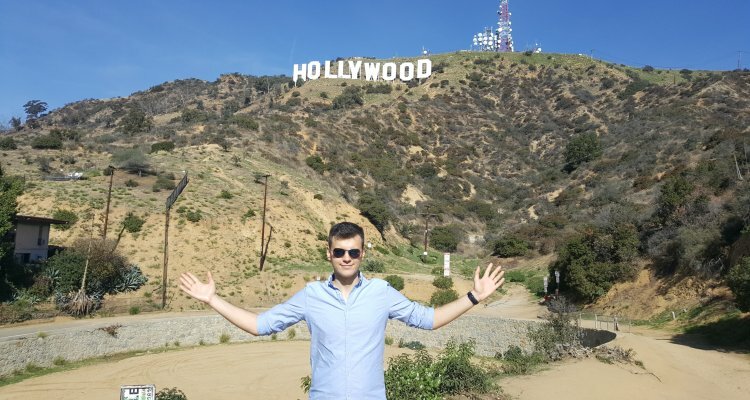 Visiting Los Angeles for the first time feels like a dream but planning the trip can easily become overwhelming with so many things to do. Champion Charter Bus is the expert in group travel all throughout the Los Angeles area, making us your go-to for any trip. Call our 24/7 team at 310-295-9547 to start planning today! From Disneyland and Universal Studios to sunny beaches and unbeatable food, Los Angeles is a city that everyone dreams of visiting, even just once. As the Entertainment Capital of the World, it’s easy to feel overwhelmed when you’re trying to plan the perfect itinerary for your trip, especially when you’re with a larger group. Luckily, sunny LA is home to Champion Charter Bus, the leading charter bus and minibus rental company in California. No matter where you plan to go, we’ll help you find the perfect coach rental to provide your group with a comfortable, stress-free ride all across the city. Champion Charter Bus handles every kind trip, including wedding transportation, school field trips, corporate events, private trips, and more. Whether you’re only here for a few days, exploring studios, or staying for a while, with our expert advice and streamlined transportation services, your trip will run smoothly until the very end. Bring comfortable walking shoes. As a first-time tourist, you’ll be visiting top theme parks, taking tours, and exploring new places that require a lot of walking, even with a charter bus rental taking you from place to place. Pack comfortable clothes that fit with the season. The sun can be sweltering hot in LA, and since you’ll be outside most of the time, you’ll want to make sure you’re dressed appropriately. Research places you want to see. With so many top tourist attractions in the city, it’s easy to get caught up in it all and miss out on any particular places you want to visit. Let us know where you’d like to go and we’ll work all of your stops right into your itinerary for a personalized trip! Los Angeles is infamously known for its traffic, and as a city always in motion, there are plenty of ways for tourists to get around. If you’re traveling alone, you can rely on car rentals or rideshare apps. There’s also the Metro, and if all else fails, Santa Monica and other parts of Los Angeles are considerably walkable. However, if you’re traveling with a group, the Los Angeles streets might not be as easy to navigate. Larger groups may also find that separating themselves between different car rentals and public transportation can lead to disorganization, untimely arrivals, and a buildup of fees. 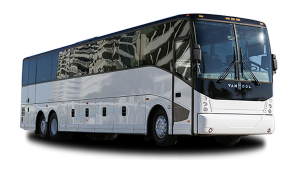 Instead, a comfortable coach bus rental is a better option for easy, stress-free, and cost-effective transportation to all your destinations. 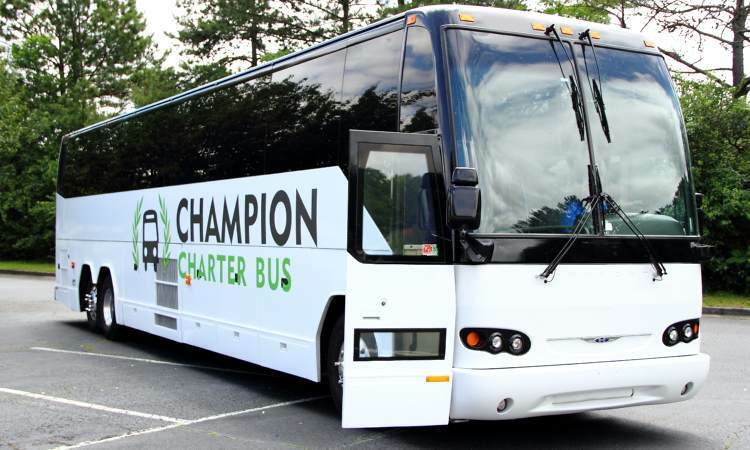 Champion Charter Bus has access to the largest network of charter bus rentals in the Western United States, giving travelers options from compact minibuses all the way to full-sized charter buses. With us, your transportation will be the least of your worries. Start your very first day in LA exploring Hollywood with Madame Tussauds as stop number one. The one-and-only wax museum is one of the top tourist attractions in the area, giving visitors the chance to “meet” all their favorite celebrities in one place. Expect to spend around two hours here, and make sure you call ahead to make a reservation for your group. A few blocks away stands Hollywood’s oldest eatery. First opened back in 1919, the restaurant features classic American cuisine to enjoy in red booths. Step back in time and enjoy their renowned martinis and a wide selection of delicious food before going to your next stop. Standing tall since 1927, you won’t miss this iconic theatre with its Chinese pagoda-style architecture. You can also spot some of your favorite hand and foot prints of your favorite Hollywood stars. 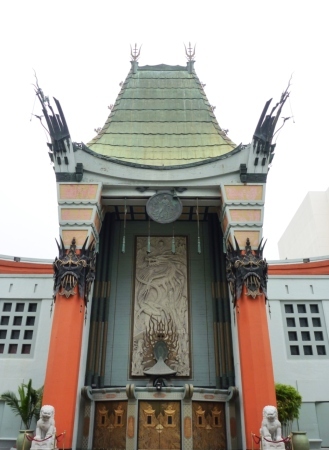 Walk where your favorite stars have walked across the red carpet.-- the Dolby Theatre is the one-and-only home to the Academy Award Ceremony, also known as the Oscars. If there’s a show you’re interested in seeing, make sure to add it into your trip! 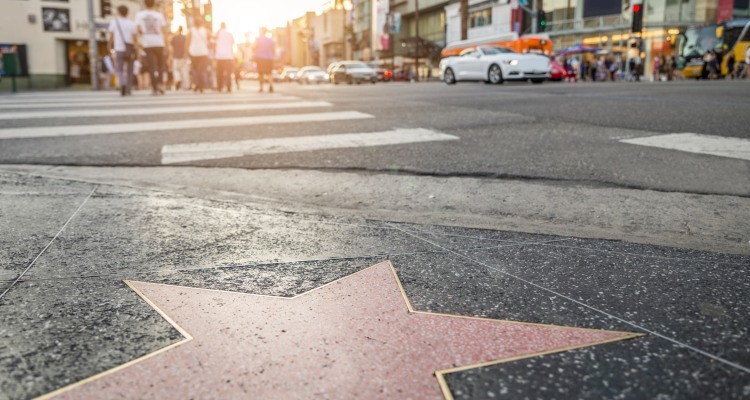 Can you find your favorite star amongst the 2,600 brass stars along Hollywood Boulevard? This is your chance to try-- and snap a photo or two while you’re at it. Not up for hiking all the way up the Hollywood Sign? No problem-- you’re already in a prime location to get a perfect view. Take the escalators all the way up to the third and fourth floors of the Hollywood & Highland Center, where you will find observation decks for a picture-perfect view of the Hollywood Sign. Opened back in 1926, this theatre is now home to all of Disney’s movie premieres. Sad you can’t attend one of their premiers? No worries, the theatre is also open to the public for exclusive viewings of Disney films. Open since 1922, this is Hollywood’s oldest movie theatre and also the birth of the Hollywood red carpet movie premieres. The official site of the 1st Academy Awards back in 1929, this iconic hotel has also been featured in multiple films and is allegedly haunted by Marilyn Monroe herself. After you’ve seen most of Hollywood’s major attractions from the outside, view props, artifacts, and costumes from your favorite celebrities’ iconic roles. With 4 floors full of paraphernalia, you’re sure to find something you’ll love, including Marilyn Monroe’s gowns, Rocky’s boxing gloves, and Indiana Jones’ whip. After a day of adventuring in Hollywood, you’ll be ready to eat! Right next door to the Hollywood Museum sits a retro diner serving classic burgers and fries amid jukebox music. It’s the perfect American meal after a day of exploring! You can’t visit Los Angeles without spending a day at Universal Studios. Whether you’re with friends or family, there’s something here for everyone. Start your day with a behind-the-scenes tour of their working studios, followed by an exciting day of their thrilling theme park. You’ll want to reserve most of your day for this adventure. When lunchtime hits, there are plenty of dining options for your group to enjoy! After an exciting day of touring and rides, head over to the magical Universal CityWalk. This completely free area features a fun atmosphere of shops, entertainment, and restaurants. Walk around and soak up the fun, and when you’re ready to eat dinner, there’s an abundance of delicious restaurants to choose from. After your day at Universal Studios, you’ll definitely be ready for a day of magic at Disneyland! Plan to spend your entire day here--with endless rides and activities to do, you’ll know why. There’s plenty of dining options to choose for both lunch and dinner. After the day’s over, your private charter bus will be there waiting to take you back to your hotel. We hope you’re not sick of amusement parks just yet-- you visited LA for a reason, right? Knott’s Berry Farm is California's first theme park ever, and even to this day is one of the most exciting destinations around LA. Your whole group can enjoy their wide selection of rides, attractions, food, and entertainment options. When you’re all done, your bus will be there to take you to your next destination. After an exciting day of rides and attractions, have your bus drop you off at the Anaheim Gardenwalk, where you can window shop, enjoy delicious food, and participate in outdoor entertainment-- all while avoiding paying for parking! 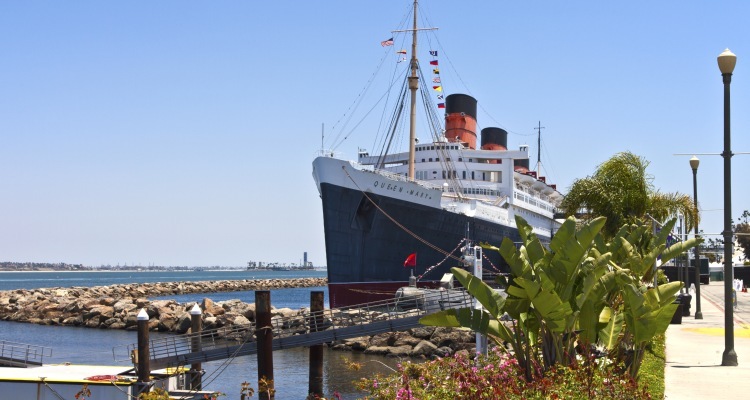 The Queen Mary is one of the most famous ships in history, making it a top tourist attraction that every visitor has to see. Starting off as a party boat in ‘30s, the Queen Mary was an Allied troop ship in WWII and is now permanently docked in LA. As a reported “haunted” destinations, Visitors can now tour the boat for a history lesson and try to spot any ghosts. Live music, a full bar, and classic Irish grub-- what more could you ask for in a delicious lunch? Grab a bite to eat at this authentic Irish restaurant before heading off to your next destination. With over 11,000 different animals, the Aquarium of the Pacific offers no shortage of marine life and education right on the Rainbow Harbor in Long Beach. The most popular exhibits include the Sea Otter Habitat, Shark Lagoon, and the jellyfish, making it the perfect spot to spend your afternoon. While you’re already at the beach, explore the waves and see the magic that happens beyond land with a whale watching tour. Harbor Breeze Cruises offers passengers a tour with a professional who will point out wildlife like dolphins, sea lions, seals, porpoises, and more. Looking for some of the best grilled fish you can find on the Harbor? Pier 76 Fish Grill is an industrial-chic restaurant with an extensive list of craft beers. Spend your next day exploring Santa Monica, just west of downtown LA. This aquarium is not only a charming place to admire marine life, but it’s also operated by Heal the Bay, a nonprofit organization that aims to protect and preserve California’s Santa Monica Bay. Over 100 different species call this aquarium home. The aquarium is also near California Science Center if you’re group isn’t interested in seeing another aquarium. Enjoy lunch with a beach view at this kitschy pub. Even better-- Big Dean’s is a classic Santa Monica Beach staple, and the building has been standing tall since 1902, making it one of the oldest restaurants in Santa Monica. 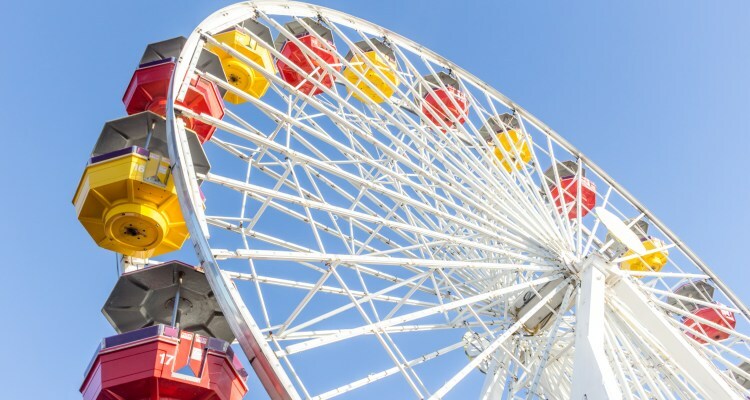 After lunch, you can walk right over to Pacific Park, a charming oceanfront amusement park right on Santa Monica Pier. 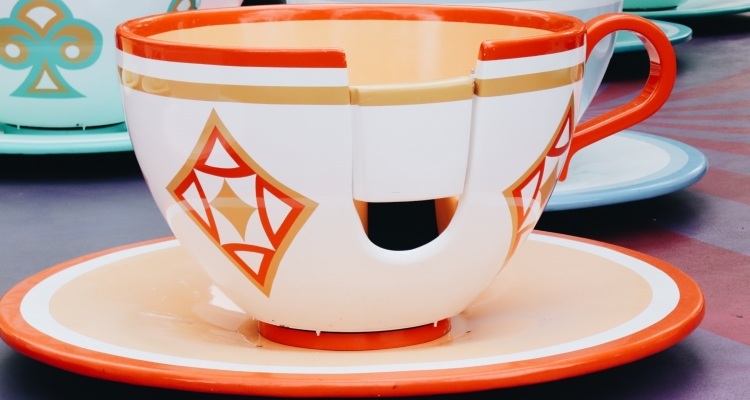 This classic amusement park gives visitors of every age a good time, with traditional rides, slides, arcade games, and fun vendors. Be sure to check out their Ferris wheel, which is the only solar-powered Ferris wheel in the world! Spend the rest of your day soaking up the sun and splashing in the waves at Santa Monica Beach. With 3 miles of beautiful sand, you and your group can sunbathe, bike, swim, go on a stroll, or rent beach equipment for your favorite beach activities. Afterwards, there are plenty of restaurants along Santa Monica Pier for you to enjoy dinner at. LA is more than glitz and glamour-- the city offers many attractions for nature and outdoor lovers. The Los Angeles Zoo is the perfect way to start your last day in LA exploring the great outdoors. Discover over 1,000 creatures from around the world, like bears, lions, elephants, giraffes, and more! The Huntington Library is more than meets the eye-- this attraction combines 4 different things into one, making it a complete must-see for first-time tourists. The library features textual artifacts, like the Gutenberg Bible and some Shakespeare folios, while the establishment also houses a botanical garden, an art museum, and a research facility. Explore 127 acres of lush botanical gardens and an arboretum in a historical site just outside of LA. With endless events, walking tours, and wildlife, you’ll feel one with nature after you’re all done. Let Champion Charter Bus help you plan the perfect LA getaway. Focus on planning the ultimate trip and let the professionals handle all your transportation for an easy, stress-free experience. We help groups travel all around California, including cities like San Diego, San Francisco, San Jose, and more! Our 24/7 team is available at 310-295-9547 to help you get started.